What a great find this place was. Son picked up a leaflet when we were out and about, they had him at the first picture and he lobbied hard for a visit. Not in our plans and having found nothing about it in my pre-planning trawls of the internet, Husband and I agreed it looked like a fun place. 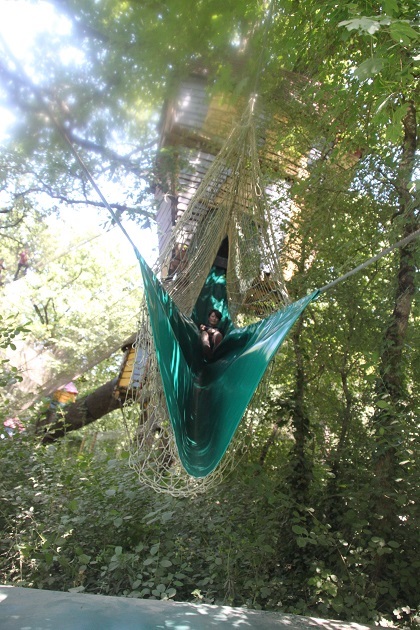 It happened to be only a stone’s throw from St Paul de Vence so slotted nicely into our day – sightseeing in the morning and forest fun in the afternoon. I was glad we had checked the website before visiting. Although it was summer, our visit didn’t coincide with what they had as their peak season and the park only had limited opening hours. It would definitely pay to check this out beforehand to avoid any disappointment. They claimed on their leaflet it was three hours of fun. We stayed at least four and could have made it longer – we left at closing. Not busy at all either, there were some other French families there and a nice atmosphere but no queues for anything – bliss. 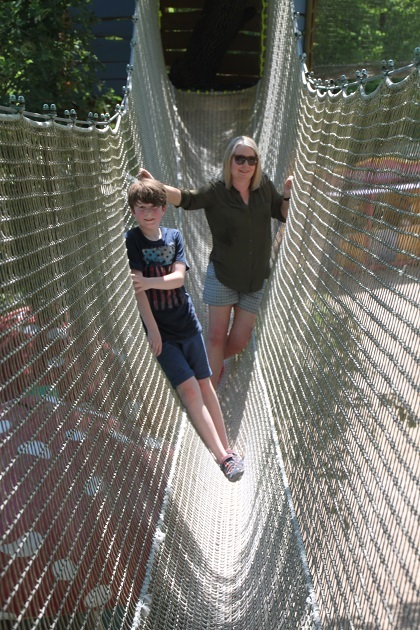 We found huge trees with walkways leading from one to another, cabins in the trees and a range of slides taking you back to ground level. 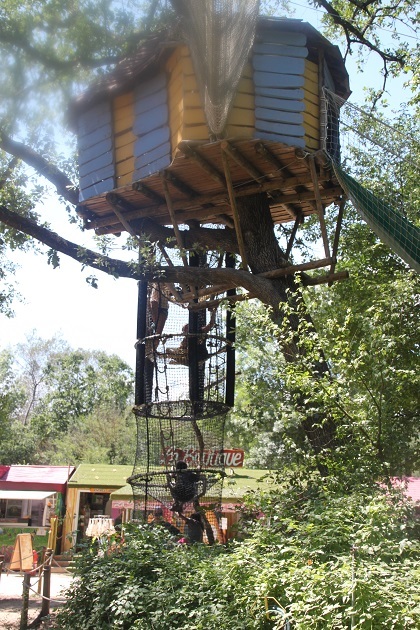 All themed around elves, we had the best time here. 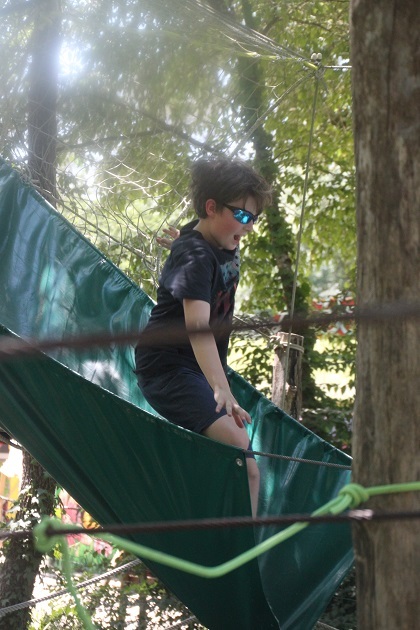 We climbed ladders made of net and rope, came hurtling down a plethora of slides, some plastic tubes and others were made of sheet plastic which generated incredible static crackles, crazy hair and much laughter. 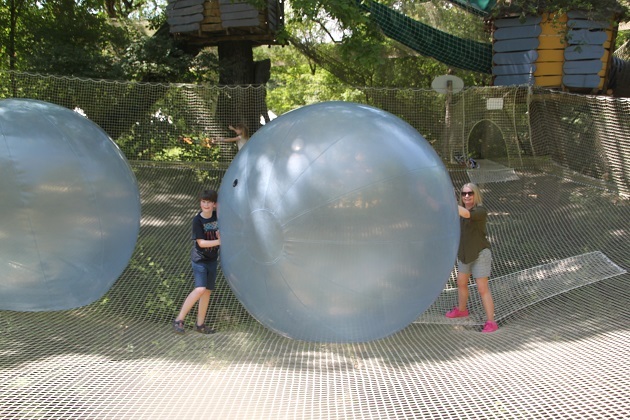 Trampoline type nets stretched across valley areas with huge clear balls you could bounce or roll at each other. 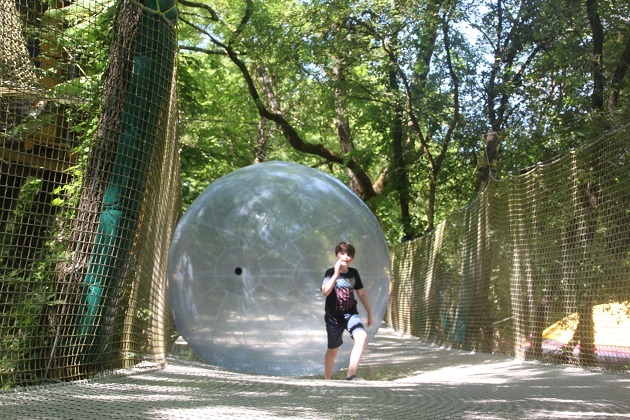 A giant play area with a zip wire was also fun and then we found inflatable balls to get inside and propel yourself around an astro turf pitch. Much laughter here too and Son proved he is so much better at this type of thing than we are. Drinks in the cafe and then we did it all again. 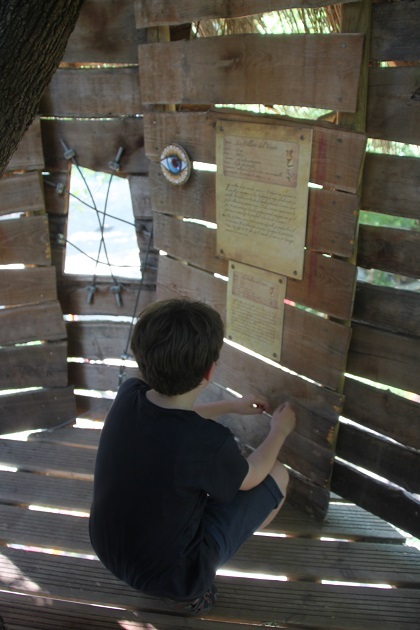 We found a “room” full of rustic type games which brought out our competitive sides. 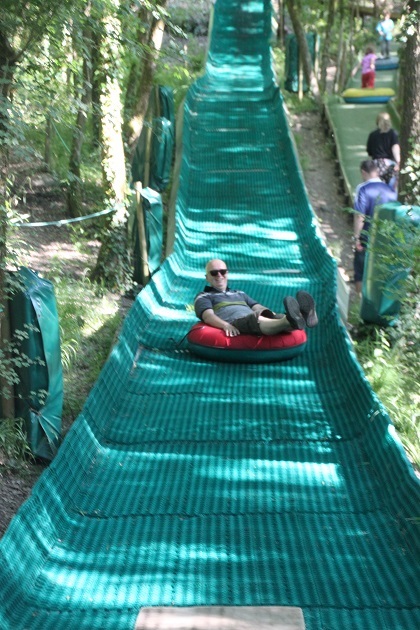 Last but by no means least was a tube slide, the only bad thing was hauling those huge, heavy tubes back up the hill. We had the most fun ever at this place, Husband and I were more than a bit exhausted at the end but all were glad Son picked up that leaflet. It was – so much fun but exhausting too Suzanne! Absolutely!! I remember when we used to go on holidays with my parents and frantically gather up a batch of leaflets and flyers on the first day we got there and then plan our activities. The way this happened took me right back! 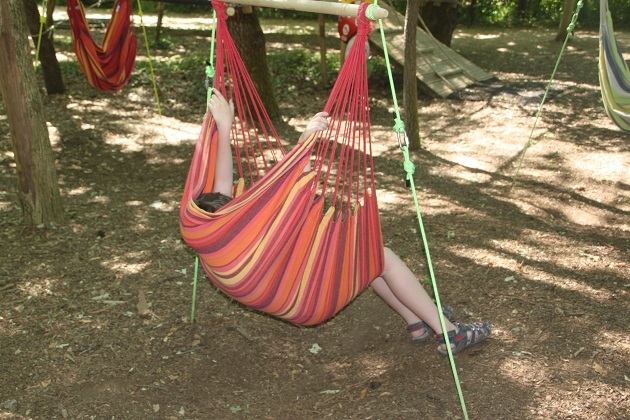 What a fun way to spend a few hours – a good family activity! 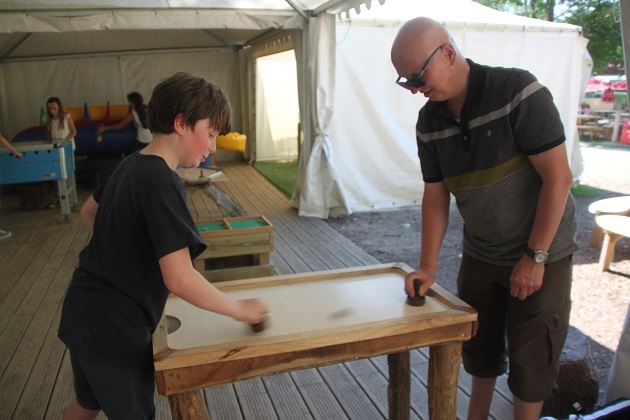 It was the best fun – very different to sightseeing and a big hit with all of us! 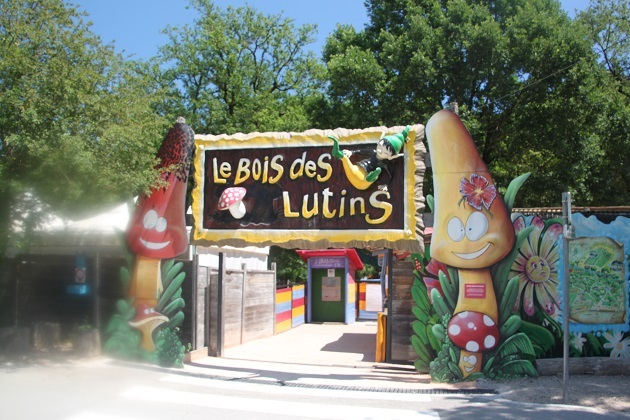 Le Bois des Lutins looks like a lot of fun – the fact you can just keep going round the course adds to the appeal! 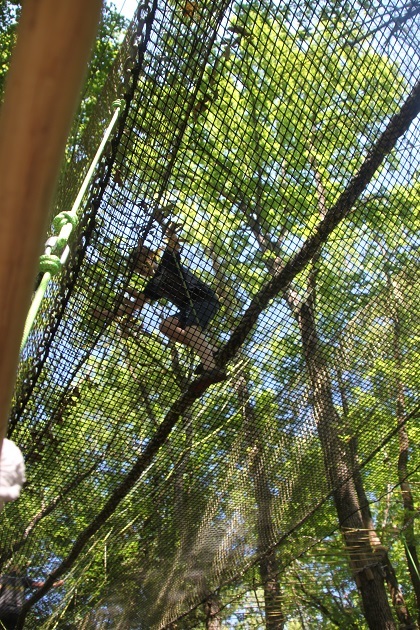 Absolutely – it wasn’t like one of those one way tree top places, here you could do what you liked in any order as much as you wanted – it was great! That looks like such a lot of fun! How great that your son was able to find out about it and contribute to the holiday planning too. I’m glad he picked up that leaflet and read it! Usually I go into overdrive planning and sorting our holidays – I missed this one completely but we had the most fun there in ages. Looks like so much fun, Joy! Oh it was Pam – for the “big kids” as much as the younger ones!! Man, that looks like all day fun. 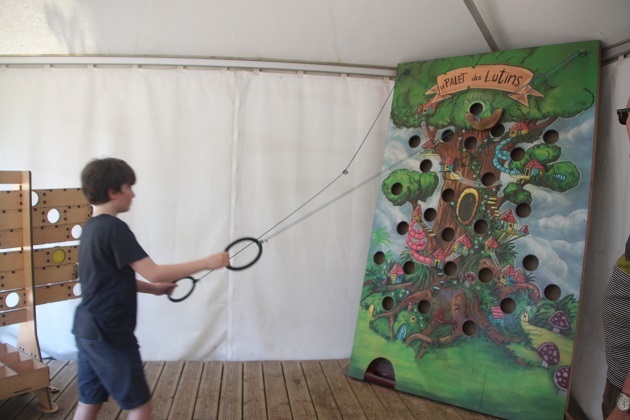 Absolutely wonderful Terry – for adults and kids alike, we just loved it all. 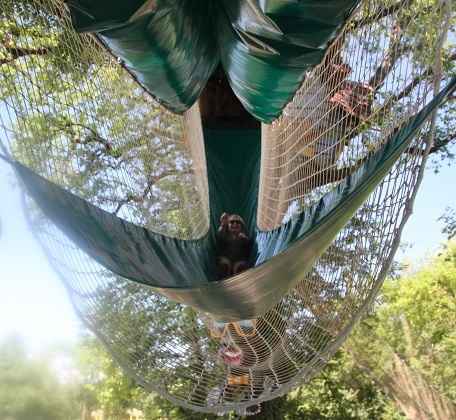 Grandkids would love it and only if I was younger….. It was such a fun place Rosemary but probably not so much if you don’t like heights…. Hope you’re feeling better again and back to normal! We’ve been loving the Indian summer here, pouring with rain now today though so a bit of a shock to the system after all that lovely sunshine! Oh no Joy maybe that is it for summer this year? I do sympathise we have had such a horrible winter – the wind has been so bitter as well. Still so cold and windy again today but at least the sun is out . Thanks I have just started to perk up this afternoon – I obviously got the flu off my little granddaughter and it’s just knocked me for six. Hope the sunshine is going to stick around for a while – not used to wearing thick woollies in spring here! Hope you’re having a lovely week weather aside! Absolutely!! Fun for every age!! I want one! I’d say everyone should have these in their back yard. Who’d bother with TV?? Completely agree – we had the best fun! Sure must’ve been a tonne loads of fun judging by the smiles on your faces 🙂 . It really was – the most laughs and fun ever! Great action shots! Nice to see somewhere the grown ups can play too. That was exactly why we loved it so much! I know exactly what you mean – the adults were probably having more fun than the kids anyway! Absolutely – it wasn’t like one of those assault type course places, just a big fun playground! Looks like an absolute ball – no pun intended! What great fun! 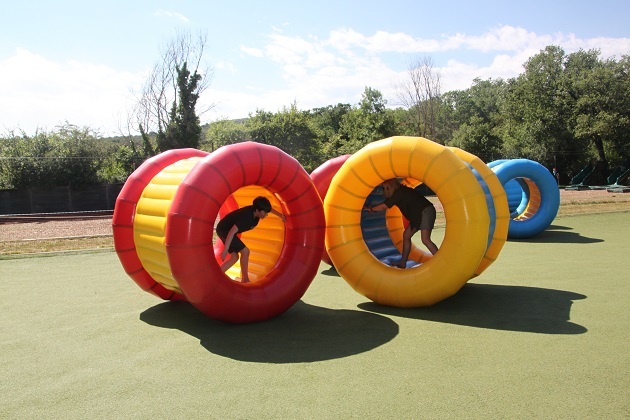 We had the best time there – the most fun in ages, adults could be like kids that was so great! It was fantastic, just as good for the adults too! Looks amazing! I wish we could have different me this while in France, ahh maybe next time! It is a great afternoon of fun! There is no age limit to enjoy ourselves ! 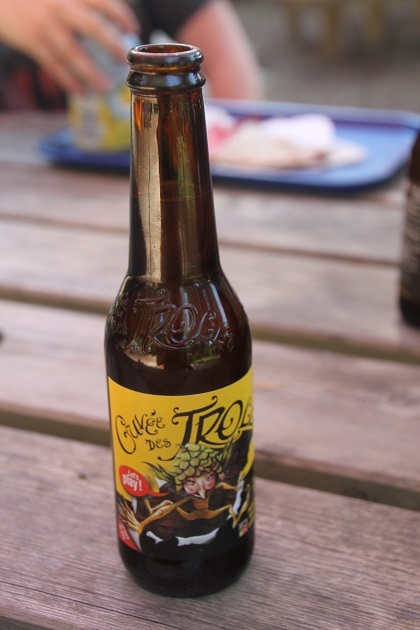 I see that you’ve tried the Belgian beer “cuvée des Trolls”, I quite like this beer ! 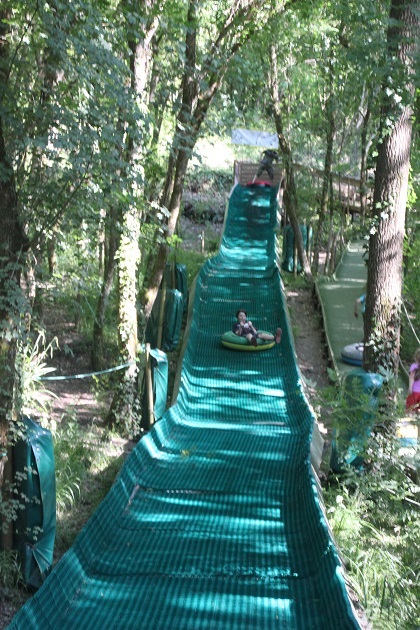 It was very refreshing – just the thing after all that climbing and sliding! !